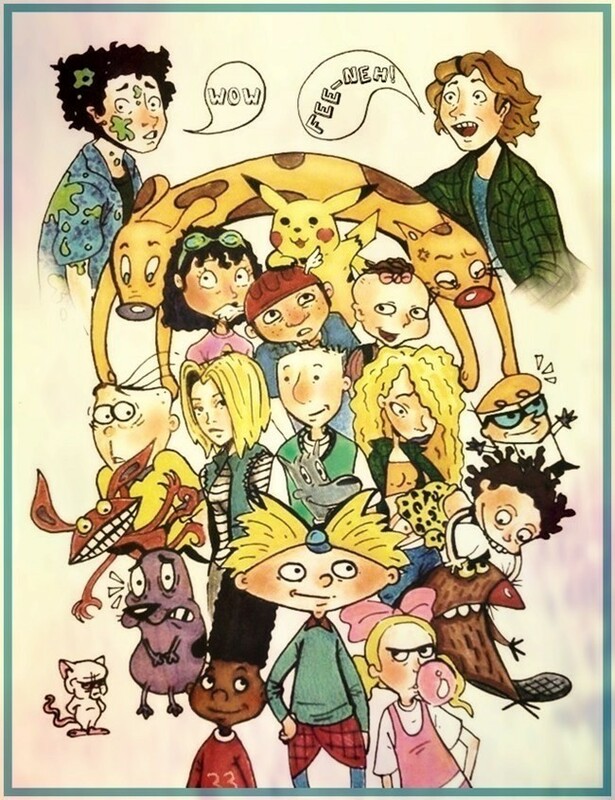 90s Cartoons. Animated toon form the 90s. HD Wallpaper and background images in the The 90s club tagged: 90s tv shows animated fan art deviantart. I can name them all, except the girl in the vest with the striped shirt. Who's she? EDIT: Never mind. Since to your brilliant credit, I found the piece on fullmetalpyrate's DA page, and found out it was 18 from Dragonball Z (which I didn't watch). So it makes sense I didn't recognize her! I LOVE THIS! it's like all the shows of my childhood together in one place!